Barcelona playmaker Philippe Coutinho has reportedly discovered the club’s plans to seal the transfer of Manchester United midfielder Paul Pogba this summer. 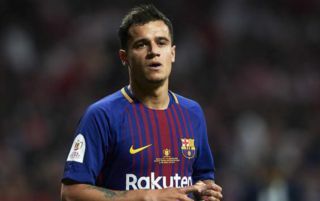 The Catalan giants urgently need a big-name signing in that area of the pitch after the departures of Andres Iniesta and Paulinho, and Coutinho seems to have learned about one of their top targets. According to Don Balon, this would be Pogba, who has struggled at United and who could be available due to his lack of chemistry working under manager Jose Mourinho. The France international looked one of the best midfielders in the world while he was at Juventus, and one imagines he could find something like that kind of form again if he were at the right club and allowed to express himself under a different manager. Barcelona could then be an ideal fit for Pogba, while he too would be ideal for their current needs in that position, bringing some flair and creativity to the squad.